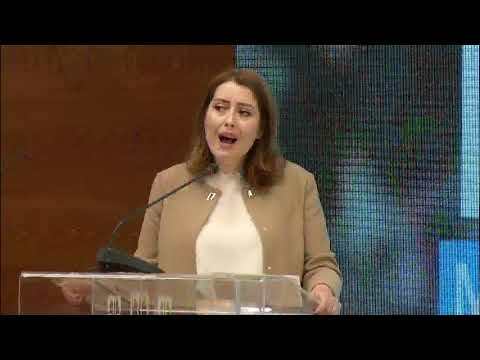 DP Secretary General, Gazment Bardhi, has submitted another lawsuit against the Interior Minister, Sandër Lleshaj, and the Police for the use of tear gas during last Saturday's protest. The lawsuit was filed with the Prosecution today at noon and Bardhi appealed to the prosecution to carry out its duties, to not to become an appendix of the state police and to protect the fundamental rights and freedoms of the country's citizens. “I have provided facts obtained by the Democratic Party about the illegitimate actions of State Police Leaders who, by political order, attacked the citizens and, as such, prevented them from exercising their right to protest. “Today, there are 40 citizens in prison without any evidence that they have committed acts of violence and there is no investigation or punishment against those who violated the law and the rights of these individuals,” accused Bardhi. “We absolutely cannot allow any Interior Minister or Police director to infringe on the fundamental rights of the citizens. “Protest is a legitimate right in democracy! But, for a remnant of communism like Sandër Lleshaj, a protest is considered the same as a coup d’état,” said Bardhi. This is the second lawsuit raised by the Democratic Party against Minister Lleshaj, following a denunciation for the same offence following the protests which occurred on March 20th.